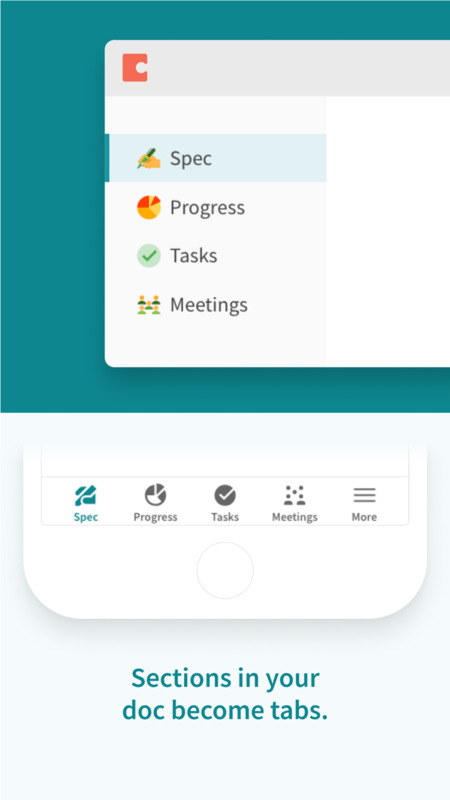 Coda is a new type of doc, with a new type of mobile experience. Watch how the docs you build on desktop transform into apps on your phone or tablet. Coda docs start simple like other docs — and grow and evolve into powerful tools. We’ve seen people build Coda docs that do everything from launch products, run companies, and remind you to water the plants. * Sections to build out different user flows. * Tables that can talk to each other. * Views, so everyone can see the data in their own preferred way. * A powerful formula language to reference any object. * Buttons and automations to take actions outside your doc. 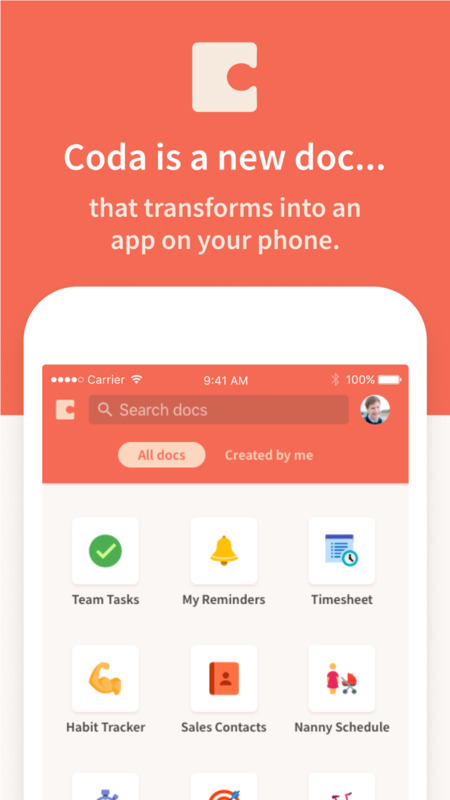 * Packs to connect your doc to the apps you use every day like Slack, Google Calendar, and GitHub.